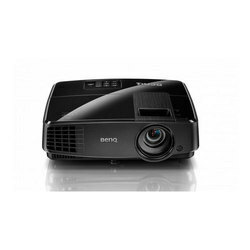 Our range of products include sony vpl hw45es 1080p 3d sxrd home theater/gaming projector, dell 1270 projector for education & business, benq projector ms535p eco friendly business, benq dx832 ultra short throw projector for education, benq w1090 1080p home video projector for sports match/movie and dell projector p 318s. The value-packed introduction to true Home CinemaExpand your horizons beyond the TV screen - and create a spectacular cinematic experience in your own home. 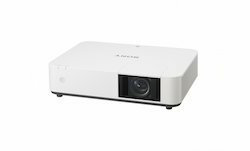 Available in a choice of black or white finishes to flatter any interior, the value-packed VPL-HW45ES Home Cinema projector lets you enjoy your favourite entertainment at its best in 2D or 3D. 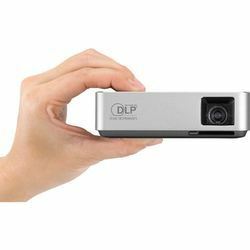 Our rapidly growing organization is busy in offering a premium quality Dell Projector that is available in numerous sizes. 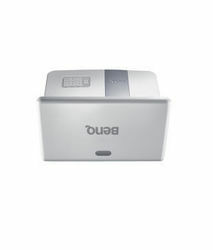 Tailor-made for simple, reliable performance in meeting rooms day in and day out, BenQ MS535P combines bright big-picture quality, intuitive hassle-free operation, and convenient digital connectivity with environmentally conscious power savings and budget-friendly low total cost of ownership. 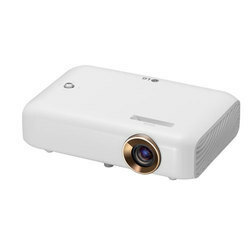 We are involved in providing a varied series of LG PW800G Portable LED Projector. Our products are made under the management of dexterous experts in compliance with universal industry principles. 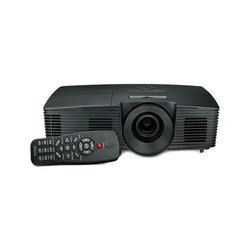 The rest of the Optoma UHZ65 is a pretty typical home theater projector. 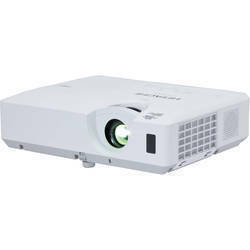 This projector is intended for use with a 16 x 9 screen and without the power lens features it is not well suited for use with wide aspect ratio ‘scope’ screens. Transform your classroom into a collaborative learning space with the BrightLink 695Wi ultra short-throw WXGA interactive display. Featuring 3,500 lumens of color and white brightness1, the 695Wi delivers a dynamic, easy-to-read display up to 100" - from as close as 11" away. Turn almost any wall or existing whiteboard into an interactive workspace with touch-based interactivity - up to six users at once. 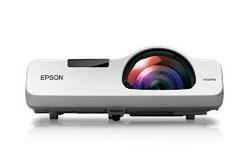 Wirelessly display content from a variety of devices - including Chromebooks - using the Epson iProjection(TM)2 App with Moderator device management software3. IMMERSIVE SPORTS EXPERIENCE: Dedicated Football & Sport modes with Cinema Master Audio+2 feels like you're in the stadium joining in the action. 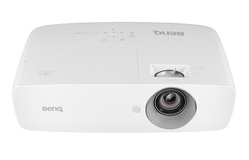 Benq Short throw DLP projector with VGA port only, useful in classrooms and conference rooms where throw distance is a constraint! 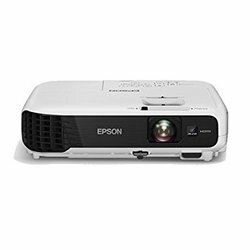 For all those who are looking for a projector for their personal use, this Epson home projector is an ideal product for you. 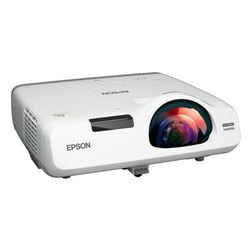 EB-S41 Home Projector is a cutting edge product from the house of Epson. It is an ideal product for those wanting to enjoy the environment of a multiplex within the comforts of their homes. Its white colour goes well with any décor and adds a touch of class to the settings. 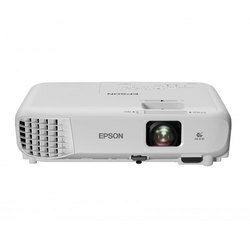 Epson EB-S41 Home Projector comes with a full HD resolution bringing every visual to life. 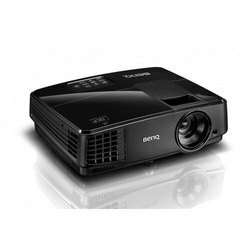 It supports up to 3,300 lumens which is a testament of its picture quality and clarity. 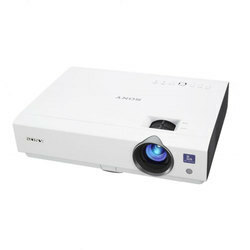 It is one of the unique projector available as it allows wireless transmission. 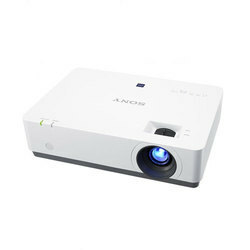 It also supports connectivity for long ranges, solving most of the problems of conventional projectors. 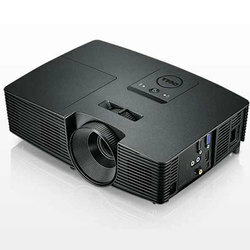 The Multi-PC projection feature of the home projector sets it apart from its counterparts. Using this, you can project the same visuals, videos or movie on multiple desktops at once. This makes it ideal to be used with larger crowds and extends its work range in a way. This Epson home projector comes with a wide array of connectivity options for your convenience. Multiple connection methods can be utilized including the likes of VGA, LAN and HDMI. 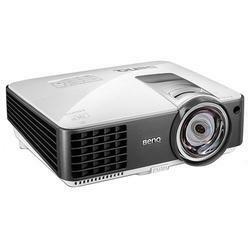 The projector has a contrast ratio of 15000:1 providing stunning visuals along the way. The product weighs 2.4 Kg and comes in the dimensions of 35.8 x 16 x 35.2 cm. The model number of the product is EB-S41. 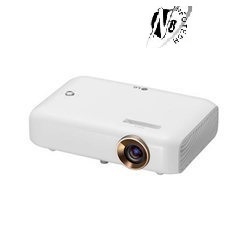 CS305STH -- SVGA Short throw projector -- best for school & educational Institution. 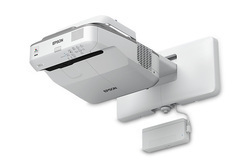 optoma Short throw projector -- XGA best for educational institution. 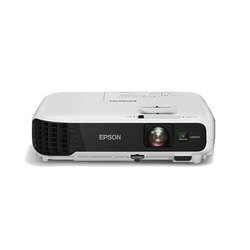 For smooth, uninterrupted presentations, look no further than Epson's series of short-throw projectors. With short-throw projection ability, glare or shadow interference will no longer be a hindrance. Enjoy significant cost-savings as well, with 10,000 hours of lamp life in eco-mode. The conference room in your laptop bag Take your presentations wherever you choose with the Dell Mobile Projector | M318s, the ideal travel companion for the mobile professional. Sized for the road Measuring a mere 4.09" wide, 4.14" long and 1.43" high (104mm x 105.3mm x 36.5mm), the M318s is sized to fit in your laptop bag, purse or the included carrying case. Extremely light With a weight of 360 g +- 22.7 g (0.8 lb +- 0.05 lb), it's so light you'll barely even notice you're carrying it. Media to go With 1GBi internal flash memoryi, the M318 can store your media with ease for grab-and-go mobility. A sound choice A built-in 1W speaker means your audio-visual presentation is totally self-contained. Easily add an external speaker by using the integrated headphone jack. Be fully equipped Add optional accessories like the wireless USB dongle, miniature height-adjustable tripod and credit card-sized remote control to help run your presentations like a pro. Small and bright You want the ultimate in brightness from your projector. Light up the room with the M318, featuring dazzlingly bright, colorful and crystal-clear projection. Radiant Your presentations will be brilliant with outstandingly bright 450 ANSI lumens (max.). Let your presentations shine, even in bright, ambient-light environments. Colorful DLP and BrilliantColorTM technology deliver clarity and color accuracy, and native WXGA (1280x800) resolution and 10,0001 typical (Full On/Full Off) contrast ratio means images are crisp and beautiful. 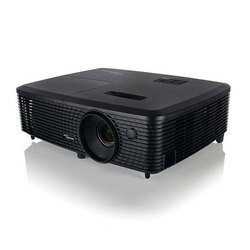 Long projection life The mercury-free LED technology in the M318 projector provides up to 30,000 hoursi (Normal Mode) of service and does not require LED/lamp/bulb replacement. 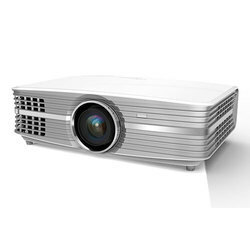 Featuring a brightness of 3200 ANSI Lumens and a high contrast ratio of 13000:1, the cost-effective and eco-friendly MS506P offers a stunning full-screen presentation with the finest details regardless of the ambient light level. True 4K UHD 3840x2160 2160p, bright 2200 lumens, and RGBRGB color wheel for vivid cinematic color. 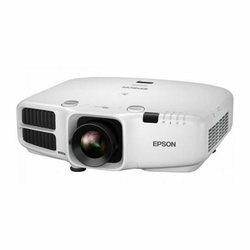 Project large screen sizes even at close range and make your presentations larger-than-life with Epson EB-525W projector. 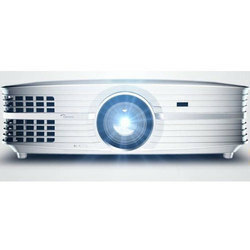 UHD60 is a state of the art 4K Ultra High Definition (UHD) Projector for home cinema and home theater capable of delivering ultra sharp images with a high level of detail and breathtaking color. 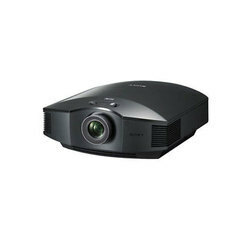 With 4 times the pixels of 1080p, an Ultra High Resolution of 3840x2160, 3000 lumens, 1,000,000:1 contrast ratio, High Dynamic Range in the form of HDR10, vertical lens shift and a massive 1.6x Zoom, the Optima UHD60 has been engineered to deliver the ultimate 4K UHD home viewing experience. 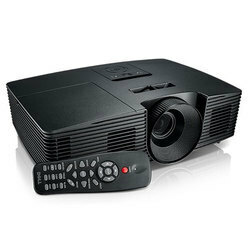 The Optima UHD60 is powered by a revolutionary Texas Instruments 4K DLP UHD Chipset with a high performance DMD utilizing XPR video processing technology with fast switching to display 8.3 million "distinct" pixels as mandated by the Consumer Technology Association's 4K UHD 2160p specification. The UHD60 can project 4K UHD images up to 140 inches, allowing viewers to be in optimum viewing area to enjoy all 4K UHD pixels, from a distance of up to 16 feet. The average 50-65 inch 4K UHD TV simply cannot match this, as viewers typically sit further away from their TV than the optimum viewing area of 6-9 feet. High Dynamic Range is the true star of the 4K UHD show, leveraging REC.2020 and DCI-P3 color gamut's to deliver bright and luminous whites, the deepest black levels, and beautiful, life-like, real world color that was previously only possible on the big screen at the movies. A generous 15% vertical lens shift and 1.6x optical zoom provide a great deal of flexibility in terms of installation location within any home, while dual 4W stereo speakers generate audio that is loud and crisp. The lamp life on the UHD60 is a robust 10,000 hours in ECO mode and 15,000 hours in Dynamic mode. 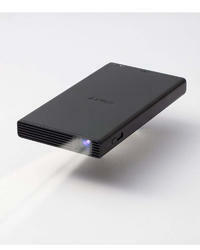 With the help of adroit team, we present an extensive series of LG PH550G Portable LED Projector. with 6000mAh battery backup. Our products are available in varied specifications that meet on consumer’s demand. 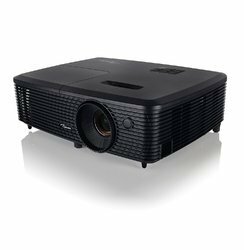 Seeing is believing: experience the beauty of true 4K HDRBring the truly cinematic quality of 4K into your own home with the VPL-VW260ES Home Cinema projector. 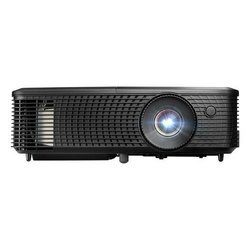 Looking for Digital Projector ?